Home / SkinCare / REN Flash Defence Anti-Pollution Mist. 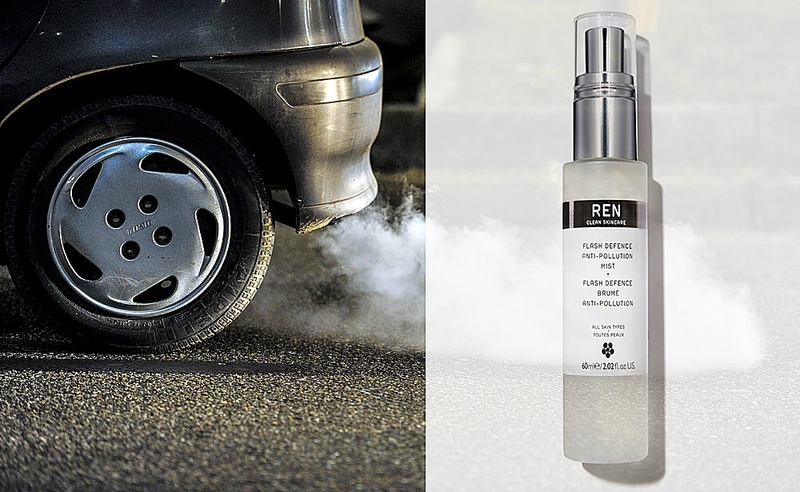 REN Flash Defence Anti-Pollution Mist. Biosaccharid Gum from Corn and Yeast forms a non-sticky invisible barrier to shield skin from pollutants and free radicals. Zinc and Manganese Amino acids derived from Wakame protects the skin from oxidative stress. Quercetin from Sophora Japonica Flowers boosts the skin's antioxidant capacity, stimulating skin repair. Alfa-glucan derived from yeast detoxifies and promotes cell longevity. Ingredients in REN Flash Defence Anti-Pollution Mist 60ml. 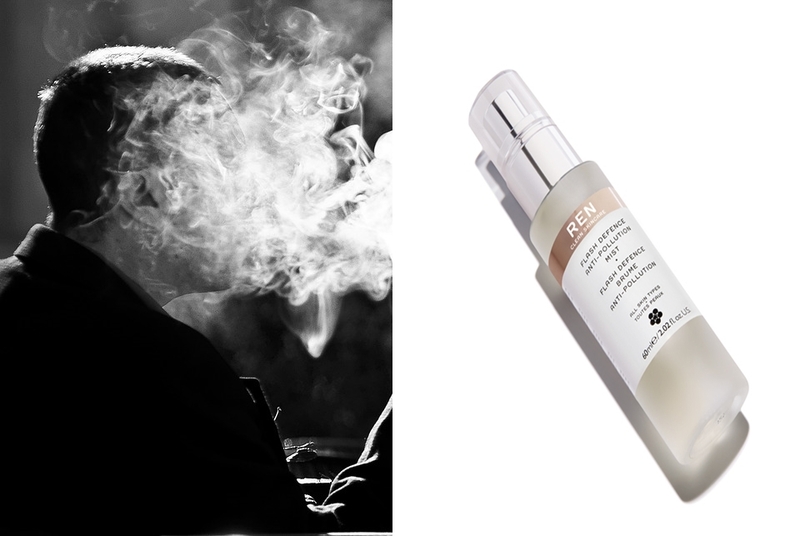 How to use REN Flash Defence Anti-Pollution Mist 60ml. Applying the mist liberally, with eyes closed, to cover the face, neck and décolleté before exposure to pollutants. Can be applied over moisturiser, make up, and reapplied throughout the day. Regular use of the anti-pollution mist will help to reduce the premature ageing effect of environmental pollution. The spray head is excellent in producing a fine mist to veil your skin in the anti-pollution mist, leaving skin perfectly protected with a healthy looking glow. • Free from synthetic sunscreens, Phthalates, synthetic AHAs/BHAs, Polyacrylamide, Metacrylate, Elastomer, Poloxamer, Nitrates, Bromates, et al. 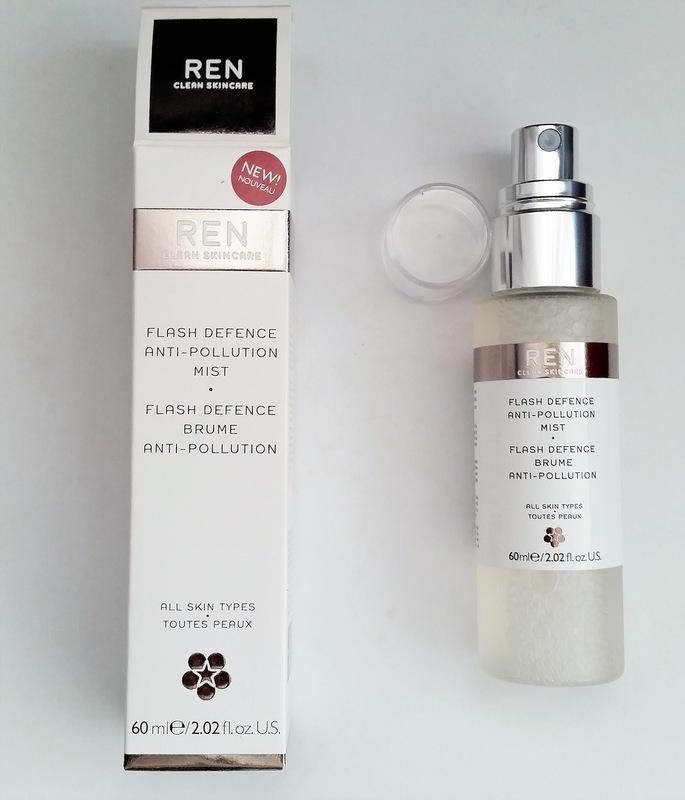 The REN Flash Defence Anti-Pollution Mist is bag friendly, which is great for when your wanting to protect your skin from the many daily pollutants your skin is subjected to. The increase of air pollution over the years has major effects on the human skin. The skin is exposed to ultraviolet radiation (UVR) and environmental air pollutants such as polycyclic aromatic hydrocarbons (PAHs), volatile organic compounds (VOCs), oxides, particulate matter (PM), ozone (O3), and cigarette smoke. Pollutants increase the number of free radicals in the air and in combination with UV radiation, this decreases the production of skin collagen, causing the skin to lose elasticity. Loss of elastin gives skin a rougher texture and fine lines begin to appear which are the signs of ageing. The Anti-Pollution Mist is packaged in translucent, recycled plastic and vacuum sealed, all REN'S products maintain their purity using minimal preservatives. REN’s Clean Skincare has become a leading light in the world of natural and organic beauty, see the clinically proven skincare range at ManOrganic. X Neil.